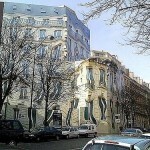 Some years ago, tourists and residents of Paris, being at George V Avenue, fell into a very awkward position – in front of their eyes appeared the house, which appearance did not fit into any conventional frame. 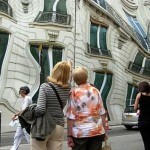 Uneven walls, blurred windows, indistinct shapes … It seemed that the house was slowly melting in the sun. 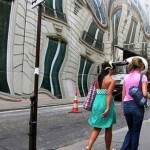 However, the key to such a strange phenomenon caused disappointed sigh of those who sincerely believed in an experimental architecture, and brought a sigh of relief among those who regarded it as a mirage. 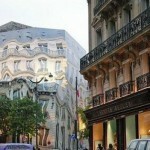 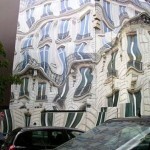 By the way, the French name for this Melting house in Paris is Trompe-l’oeil meaning trick of the eye. 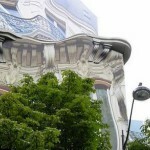 The key to the mysterious house was very simple. 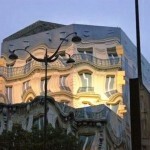 The building was in need of restoration, but instead of contemplating the scaffold, a creative solution was found. 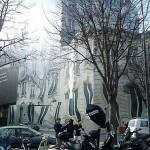 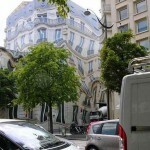 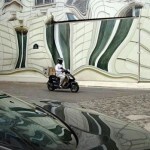 The photographer Pierre Delavie made pictures of the building in its original form, and then the images were distorted by a computer program and printed on large canvases, which completely shut down the facade of the house. 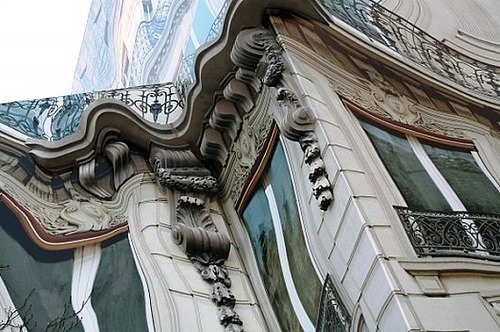 Frederic Beaudoin pasted over the image of the foam cornices, and to distinguish reality from the picture has become very difficult, especially at a distance. 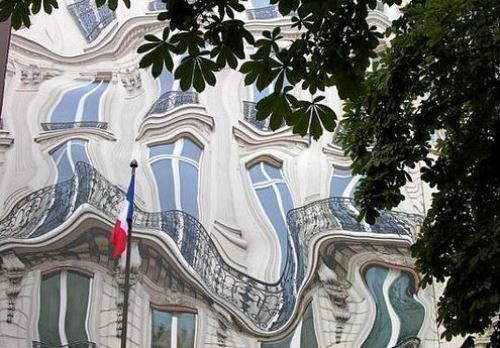 Unfortunately, the restoration of the house has been completed and, the Melting house in Paris can be seen now only in photographs.